Dr. Taleb Rifai has been elected as sectary general of UN's World Tourism Organization (UNWTO). Ex-Tourism Minister of Jordan has been elected the new chief of UN's World Tourism Organization (UNWTO) by defeating South Korea's Korea Tourism Organization (KTO) president, Dr. Oh Jee-Chul, Travel Blackboard reported on May 12, 2009. Former Jordanian minister of tourism and antiquities Dr. Taleb Rifai has been elected as the new secretary-general of the United Nation's World Tourism Organisation (UNWTO). He was elected by a 31-member council, defeating his closest rival Dr. Oh Jee-Chul, president and CEO of Korea Tourism Organization (KTO) with 20 votes to 10. Dr. Rifai, formerly the UNWTO's deputy secretary general, will become Secretary General of the world body once his election is ratified in October by the general assembly of the 155-member inter-governmental body. When ratified, Dr Rifai will bring a wealth of experience to the secretary general post. Dr. Rifai holds a PhD in Urban Design and Regional Planning from the University of Pennsylvania in Philadelphia, a Master's degree in Engineering and Architecture from the Illinois Institute of Technology (IIT) in Chicago, and a BSc in Architectural Engineering from the University of Cairo in Egypt. From 1973 to 1993, Dr. Rifai taught and practised architecture and urban design in Jordan and the United States. He then went on to serve as Director of Jordan's Economic Mission to Washington DC from 1993 to 1997 and later Director General of the then newly established Jordanian Investment Promotion Corporation. 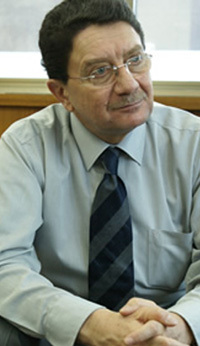 Dr. Rifai served as Minister of Planning and International Cooperation, Minister of Information, and later Minister of Tourism and Antiquity from 1999 to 2003. Dr. Rifai was also responsible for founding Jordan's first Archaeological Park in the ancient city of Petra in collaboration with UNESCO and the World Bank, along with other projects in Jerash, the Dead Sea and Wadi Rum. He was also the Chairman of the Jordan Tourism Board, President of the Ammon School for Tourism and Hospitality and was elected Chairman of the Executive Council of the UNWTO in 2001. Dr. Rifai will take over the reins from former secretary-general Francesco Frangialli till 2013.